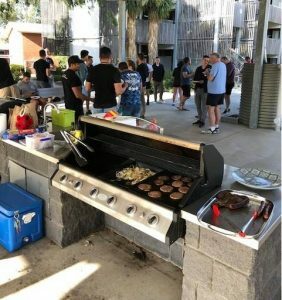 The MCF Group at Simpson Barracks, Victoria, recently hosted its inaugural ‘MCF BBQ’. The event was an opportunity for Defence Christians to share the MCF and Christian messages through the gift of service. The BBQ was a wonderful success, with 40 people in attendance. Please contact WO2 Darren Thomas to learn more about MCF gatherings at Simpson Barracks.